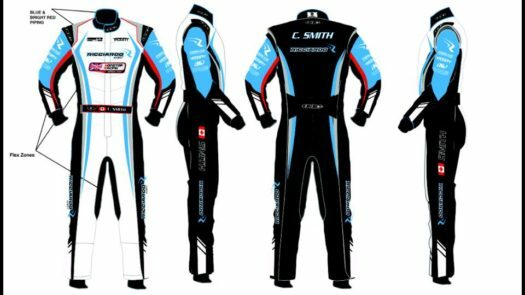 CKN Chatter: Che Smith – CKN | CanadianKartingNews.com | Because Karting is a way of Life! Welcome to CKN Chatter, where CanadianKartingNews.com sits down with go-karters from across our nation and around the world. This weekly feature will see a different kart racer interviewed by CKN each week, with quick and simple questions about their karting past, present and future. After the long break CKN has brought back CKN Chatter. 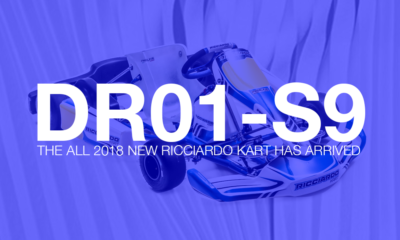 This week we will be interviewing Che Smith whose Ottawa based team, NR Kart Store, will be entering it’s second season using the Riccardo kart brand. First off, for those who don’t know you give us a little introduction to your motorsports history and where it started. I was born and bred in the UK, and from a young age I was always passionate about motorsports. I grew up watching the greats such as Nigel Mansel and Ayrton Senna battle it out on the track. I tried my hand at motocross for a brief time, and spent lots of time at my great uncles workshop learning and helping him build super bikes. From there, I entered amateur karting events and also raced the original shaped minis for a while. What made you gravitated you to karting? 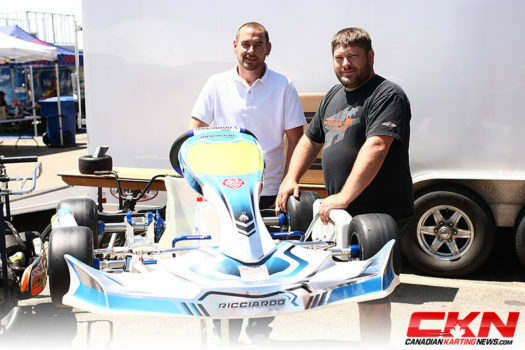 After settling in Canada, in 2012 I found myself working with someone who was racing karts. He introduced me to the local club and I went straight out and bought a kart! I came second in the championship that year in my class, and the bug was reborn. Where did the idea of starting NR Kart Store come from? I identified a requirement for a dealer who had something different to bring to the table. 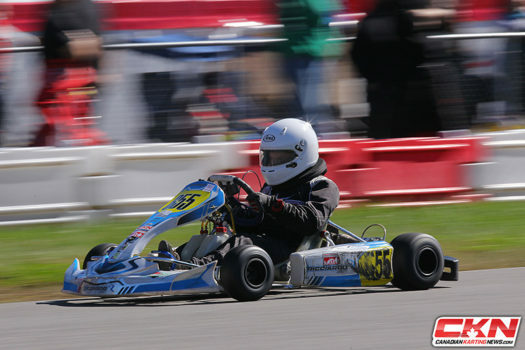 NR Kart Store prides itself in trackside support, as well as encouraging young racers to get into the sport. 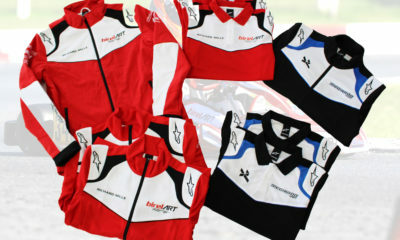 I identified NR Kart Store as a way to grow the sport – and for my customers, I am a very supportive dealer. Now let’s talk about your alliance with PSL Karting. As some people are aware you were an LH/CRG dealer for them before making the switch to carry the Riccardo brand. What was it about this partnership that made you stick with the program last season? After our success in our first year as a dealer (with the LH Kart), NR and PSL formed a trackside relationship. We quickly realized that NR, as small as it was, had the same objectives as PSL – to support their clients and promote a fun racing environment. When PSL switched to the Birel and Ricciardo brands, all I knew was that I still wanted to work with PSL. As the Birel brand was already being sold by another local dealer, I was excited to be offered the opportunity to support the Ricciardo brand and continue to build my alliance with PSL. Speaking of the Riccardo kart what are some features that you really like about the chassis. I love the Ricciardo kart. 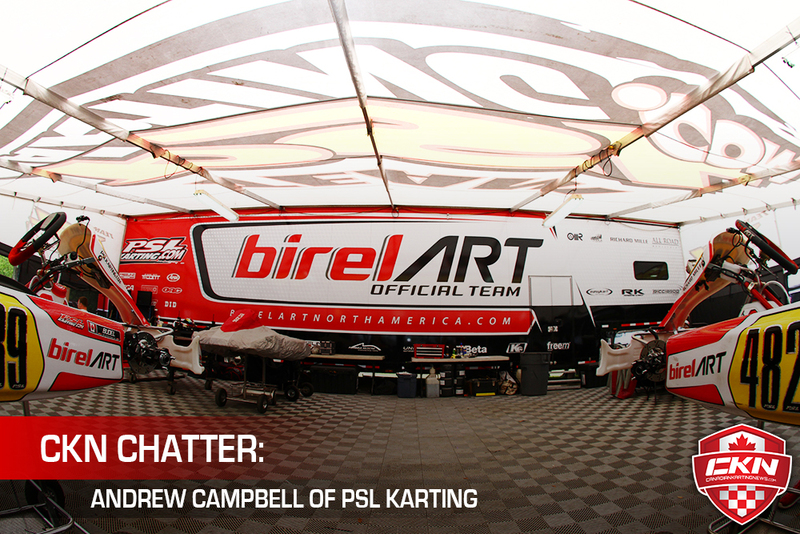 I feel that the Birel ART built Riccardio chassis is the most competitive product on the market. The DR29 was fast out of the box, just like the Briggs engine that is strapped on it. We found the front and back of the kart has a wide range of tuning adjustments available, meaning the chassis can support any driving style or age, and any track configurations or conditions. We are also excited to be displaying the new Ricciardo cadet kart at the first Ron Fellows race this season – I hope to get my 5 year old daughter in one of these very soon! As a Briggs & Stratton prominent program do you also have a plan to have Rotax drivers on your teams as well? 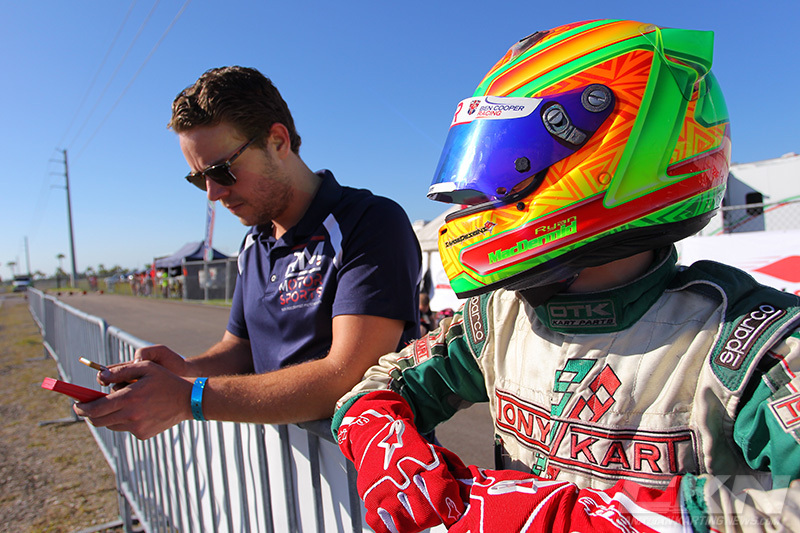 The structure of our team is prepared to support any class of kart driver. We hope to add some two-stroke drivers to our team in the near future. With the Champion Ron Fellows Championship starting this weekend and the Eastern Canadian Karting Championship opening in two weeks how man NR Drivers will we see competing this season. NR is excited to have a strong presence at ECKC and Ron Fellows, with up to 6 drivers at each race. We have some very competitive drivers under the tent this season, and I am pleased to say we have already had one driver, Owen Clarke, put it on the top of the box at the Coupe de Montreal. Are there any other major championships that your team will be attending in 2016? 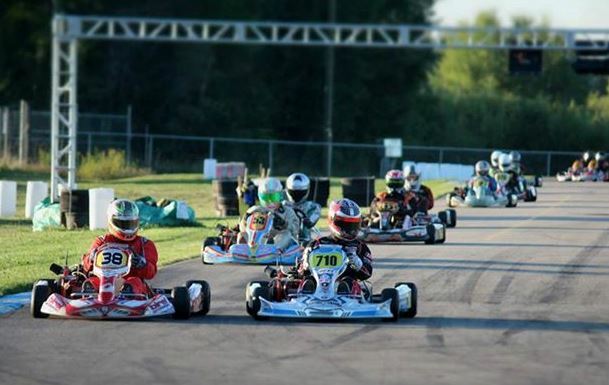 NR will be attending ECKC, Ron Fellows, Coupe de Montreal, Briggs Summer Nationals, the Canadian Nationals, some local OGKC races and the Capital Karting Grand Prix and Mayor’s Cup – it’s going to be a busy season for the team! What is your current opinion on the karting season in the Capital region and where would you like to see it headed in the future. The three clubs in the capital region have been working hard to join together to produce a series that mirrors the sort of events that see us traveling outside of the capital for. Having been involved in building OGKC, I am hopeful that it will continue to grow and attract all racers from the region. OGKC is the perfect platform for the three clubs to join forces within, though sadly there have been some political hurdles that have prevented such a series from being launched. I am confident that in the near future we will see a joint series that will bring the positive attention to the capital region that is very well deserved. This year I made the decision to take my team to more provincial races so we will only be attending a few of the OGKC races due to conflicts with the provincial racing schedules. 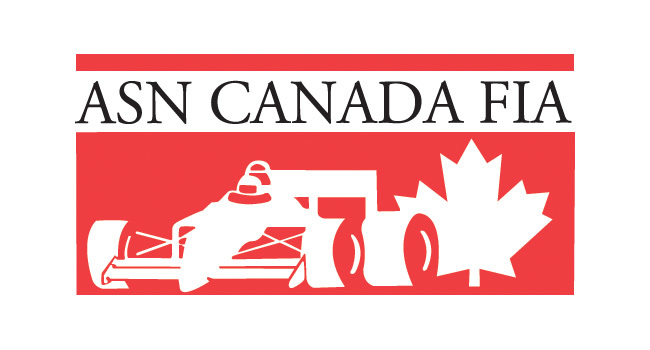 As a supporter of the Capital Karting Grand Prix and Mayor’s Cup last season what would you like to tell karters from both Quebec and Ontario who might be interested in attending this year’s event. 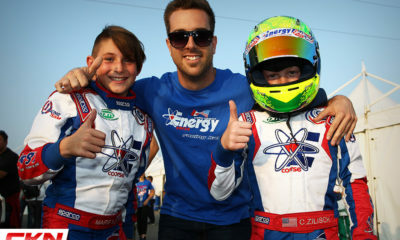 The Capital Grand Prix and Mayor’s Cup was a great event for local racers. It raised an impressive amount of money for charity, and was a fun event for families to come to and enjoy the day. The coverage on Rogers TV continues to be repeated, which is great exposure for our sport. I would recommend attending this race to drivers of all levels. NR will be there for sure. Finally is there anything else you would like to the CKN Nation to know about either yourself or NR Kart Store? Yes! Please join the blue and white army. Our mission is to provide the best products and services to kart racers of all ages and backgrounds, in a fun and supportive environment. Our alliance with PSL allows us to uphold this promise to our team. Visit our website, or drop by and see us at the track for a full range of Ricciardo and Freeline parts… or just come by to say hi!